Register now for the WF Luncheon and catch up on all the latest info! 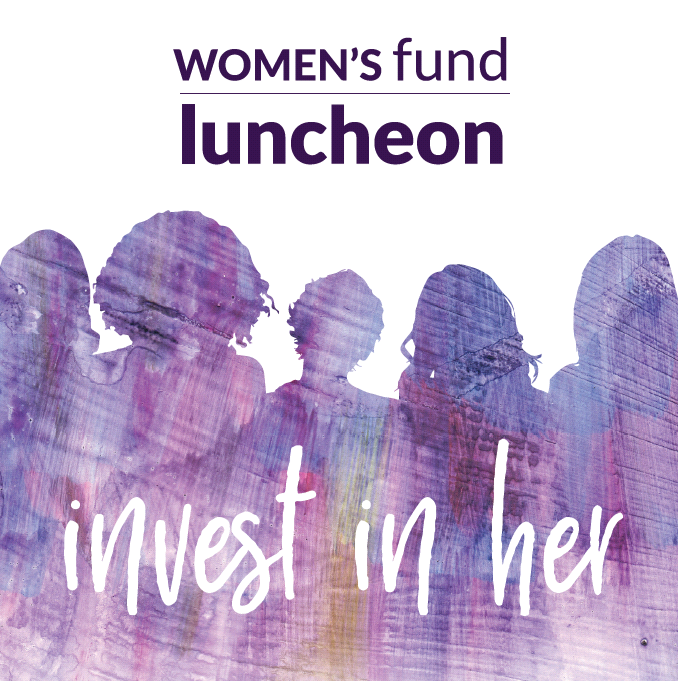 Registration is now open for the 18th annual Women's Fund Luncheon. Please join us on Thursday, September 6 for an inspiring afternoon in support of women and girls in your community. Consider purchasing a table and inviting your friends to join you. Don't delay as last year's event sold out weeks in advance. It's not too late to become a sponsor. Visit our website to learn about opportunities and benefits including discounted ticket pricing. Contact Becky Boulanger at 920.702.7617 with any questions. 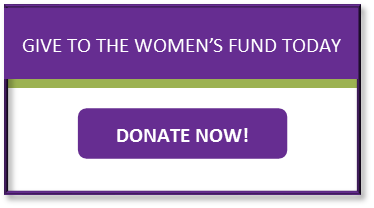 Click the button at the top of the email or go to the Women's Fund website to register today. We look forward to seeing you in September! Wisconsin native Major General (Retired) Marcia Anderson is a leader and a trail blazer. Upon graduation from Creighton University, she was commissioned thru the Reserve Officer Training program. Her career included many “firsts” from the time she was commissioned as a Second Lieutenant, until she retired in 2016. 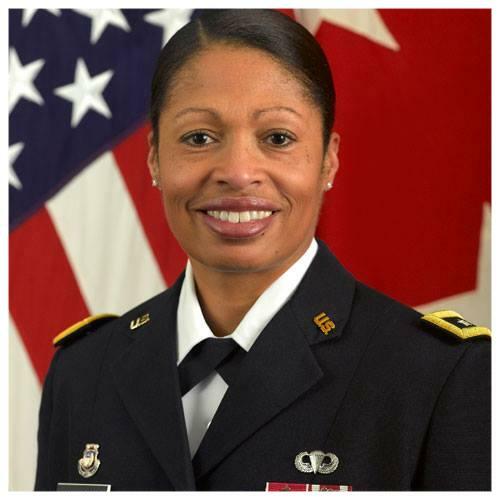 In 2011, Anderson became the first African-American woman to achieve the federally recognized rank of major general in the United States Army, United States Army Reserve or United States Army National Guard. As Deputy Chief, Army Reserve, she served full-time for three years at the Pentagon and had oversight for an $8 Billion budget and over 220,000 Soldiers and Civilians. Anderson is currently employed by the United States Courts, where she serves as the Clerk of the Bankruptcy Court, Western District of Wisconsin, located in Madison. As a member of the Green Bay Packers board of directors, she sees similarities between military service members and NFL athletes and the need to provide them tools to do their jobs effectively and safely. The CAP Services Skills Enhancement Program provides educational opportunities for women unable to access or afford it on their own. Qualified individuals (working 20 hours per week but earning an income that keeps their family below the federal poverty level) can attain short-term post-secondary education, such as an associate's degree or certificate, and develop skills that will enable them to compete for living-wage jobs with employer-sponsored benefits. The program provides participants with financial assistance for tuition, books, tools, supplies, uniforms, training-related child care and mileage costs, along with one-on-one support. This assistance, along with a holistic approach to case management, includes referrals to community resources, help with problem-solving, career planning, interview and resume preparation, and soft-skills training which allows participants to tackle the great variety of barriers to becoming self-sufficient. The goal for this grant project was for 39 women ages 18-29 to complete their training during 2017 and secure new higher paying jobs, have access to benefits and reach their goal of becoming self-sufficient. The Skills Enhancement Program has been providing services for more than 25 years and has had more than 900 successful graduates! During 2017, the program served 180 people in Outagamie and Waupaca counties. Forty nine percent of those participants were young women between 18-29. Thirty-three successfully completed the program as graduates, with an average wage increase of $6.48 per hour and almost $17,000.00 annually. 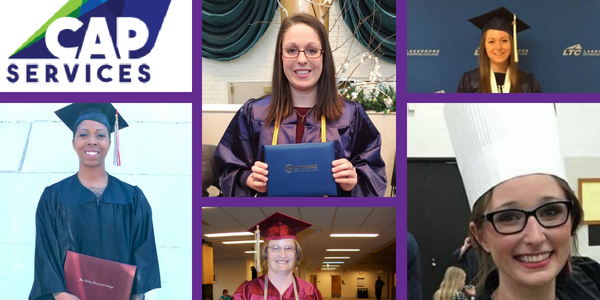 Kim Calmes, Skills Enhancement Program Coordinator says, "2018 is on track to be just as successful and impactful to those individuals who graduate, their families, area employers and the entire community!" 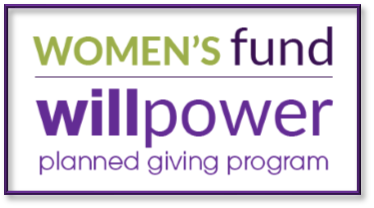 The Women's Fund is pleased to have renewed support for this program with another $10,000 grant in 2018! "CAP Services Skills Enhancement Program has helped me tremendously in my journey through school, helping to alleviate a generous portion of debt that I would otherwise be building each semester. Without this program, life would be a much bigger struggle. I am grateful for this program and hope you will see how it is helping people like me achieve their dreams." Women of color face substantially larger gender wage gaps since figures are heavily weighed by white women’s wages. 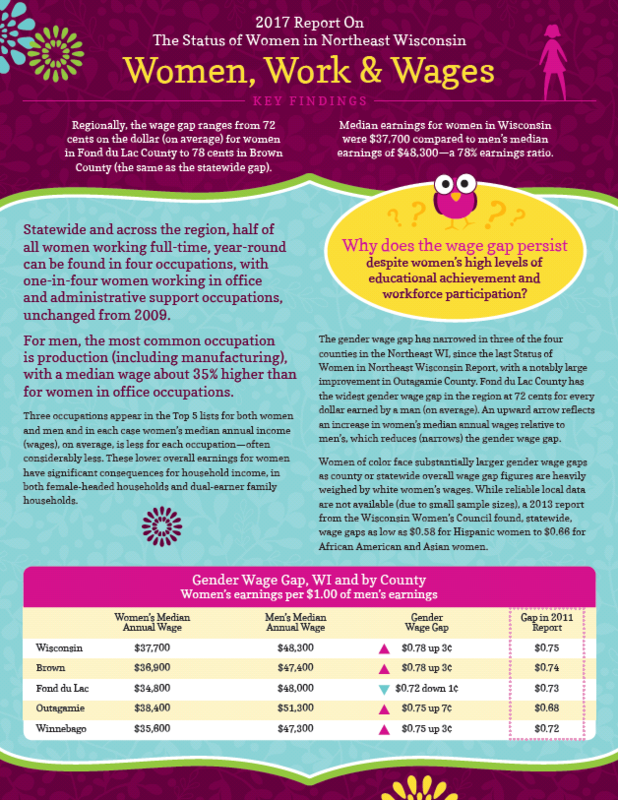 While reliable local data is not available (due to small sample sizes), a 2013 report from the Wisconsin Women’s Council found, statewide, wage gaps as low as $0.58 for Hispanic women to $0.66 for African American and Asian women. 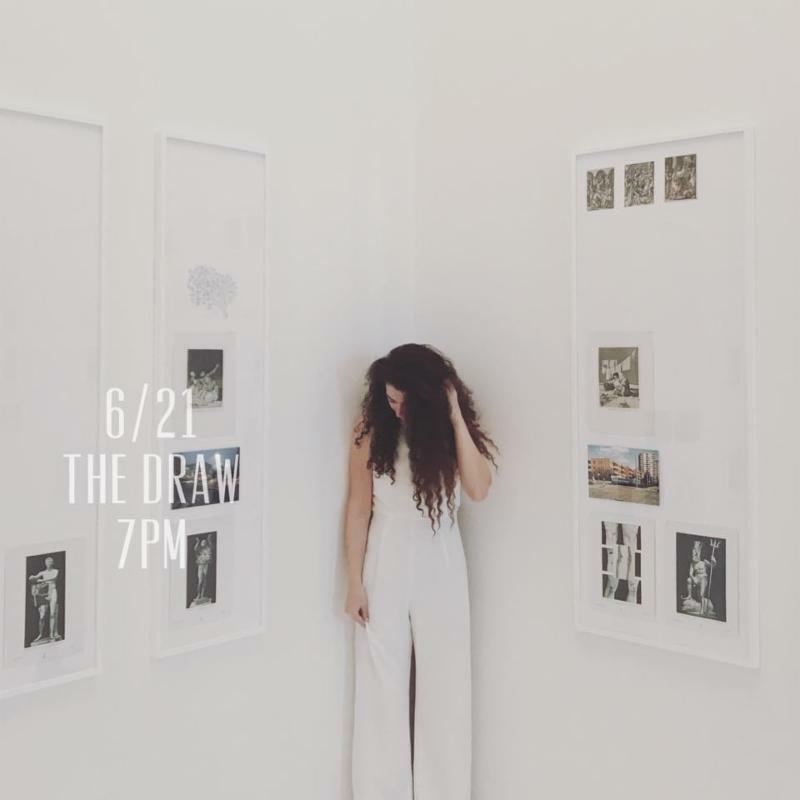 Join Hillary Reynolds for an intimate evening of songs - old & new! $10 entry with net proceeds donated to The Trina Fund .